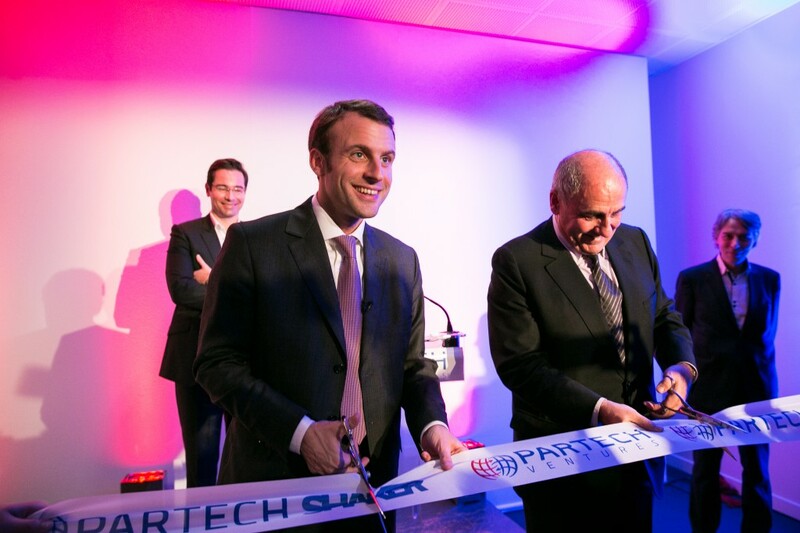 The Partech Shaker inauguration on Wednesday 17 December was a high-profile event, with French Economy Minister Emmanuel Macron, Minister for Digital Affairs Axelle Lemaire and Paris Deputy Mayor Jean-Louis Missika all in attendance. These eminent politicians congratulated Partech Ventures for this initiative, which raises the profile of the French digital sector while also giving a new lease of life to one of France’s major cultural hotspots. As a backlash against the vogue for ‘French Bashing’, Macron advocates a spirit of ‘French Celebrating’ to help the country out of its current ‘lethargy’. Speaking without notes, the minister described his vision of innovation and mentioned some of the mechanisms for supporting and rewarding entrepreneurship in France, also promising to rally the major CAC 40 groups soon to discuss how they invest in startups. The minister is a strong defender of the Partech Shaker’s atmosphere of ‘healthy rivalry’, and said he has high hopes for this collaboration. He particularly praised the ‘outsiders’ who will agitate in the new economy that is starting to take shape, concluding: ‘France is lucky, because we have our young people who are ready to take lots of risks’. Although, as Philippe Collombel pointed out, the Minister for Digital Affairs should feel totally ‘at home’ here, Axelle Lemaire admitted that she was ‘really bowled over’ by what she saw and by the name ‘Shaker’. In her view, the future of the French economy ‘rests on this spirit of “Shakage”’ and Partech Ventures is setting a fantastic example, taking international best practice in the sector and reproducing it with a French Tech twist. She even went so far as to say that she believes the Partech Shaker heralds ‘a new dawn for French Tech, open innovation made up of large companies, including public ones’. In a further show of support, the minister agreed to Partech’s offer of hosting a JeuDigital event – the monthly get-together for key players in the French digital ecosystem.